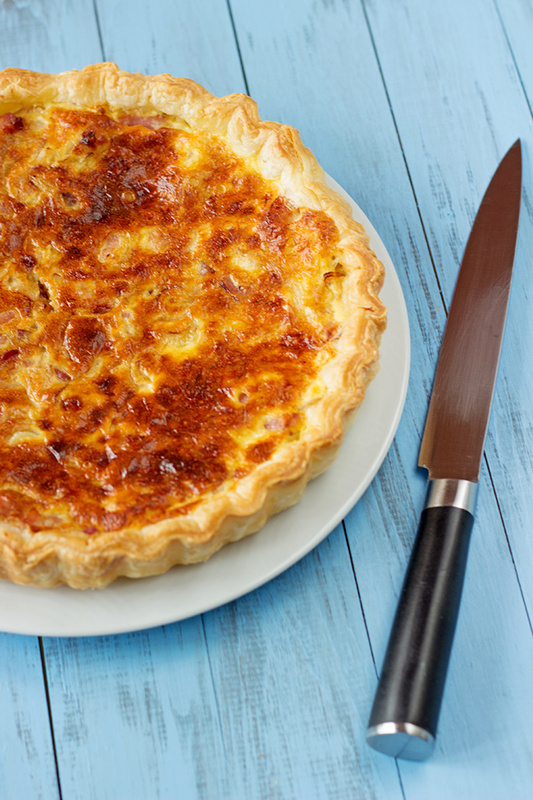 I do not remember when I began to bake Quiche lorraine. But I was pretty young I guess. 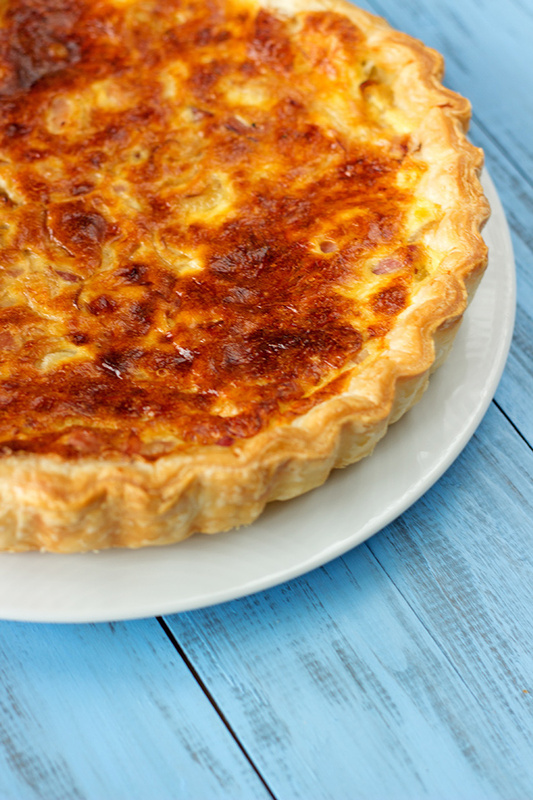 Soon all my parties tables were full covered with Quiche lorraine and Mustard tart, the easiest recipes I know off. When you host a bunch of teenagers and that you still are a teen yourself, you should be prepared. Baking fast and a lot to make sure you can feed everybody. I grew up now. However more than 10 years after, I still bake this recipe from time to time. Especially when I am invited to a dinner party where each guest has to bring something or when I am organising one myself. I made one today, so Adrien can bring something to eat at work for lunch. 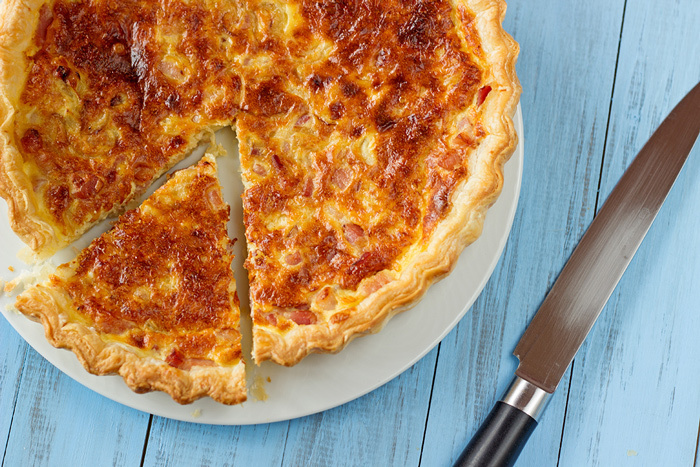 Tastier a bit warm, this quiche is also delicious cold. 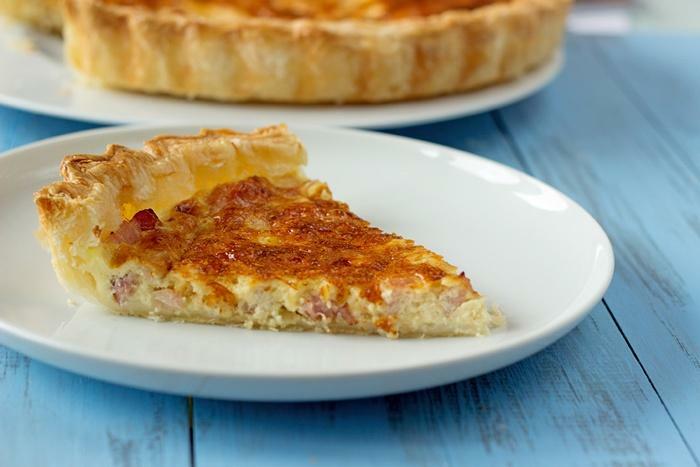 You can serve this Quiche lorraine with a green salad in summer or maybe together with a soup in winter. I made a fast pumpkin soup for this week. Will try to share the recipe with you soon. Slice the onions after removing the green sprout. 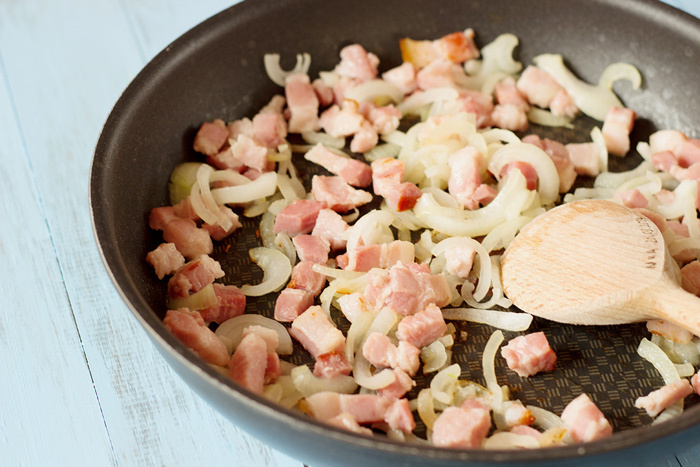 Brown onions with bacon on a large non stick pan. Put puff pastry in your oven dish and riddle with holes. Put onions and bacons on top of puff pastry. 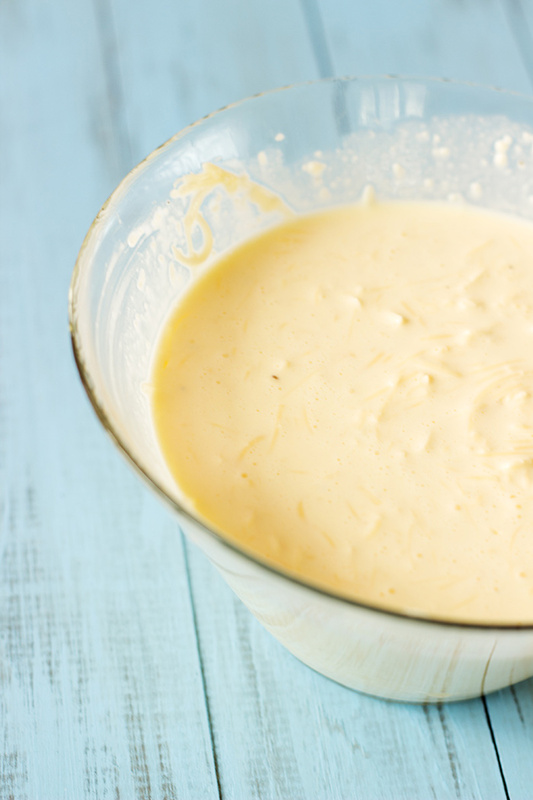 Mix in a bowl cream, grated cheese, egg and pepper. Pour on top of bacons. Bake for 40 minutes and enjoy! Thank you very much for reading. 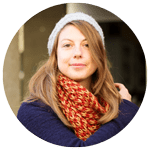 Do not miss a recipe by registering to the newsletter or following a French girl “cuisine” on social media. Bought puff pastry is one of the best discoveries I`ve made recently, thanks to your blog. So much easier-and nicer-than making shortcrust bases.